This story was sponsored through Echo Delegate one of the 51 forging delegates in the ARK Ecosystem and their generous voters. ARK recently released their updated Whitepaper on April 5, 2019. You can read it here! On April 3rd, 2019 the Securities and Exchange Commission published guidelines on digital assets as investment contracts. The statement and accompanying document was titled: Framework for “Investment Contract” Analysis of Digital Assets. It seems that it was only a few days prior to this that Justin Renken had me on the ARK Crypto Podcast for a Legal Roundup. In the episode, I called for agencies like the SEC to publish guidelines and take steps towards defining the legal landscape in the Blockchain industry. I didn’t expect them to react so quickly. 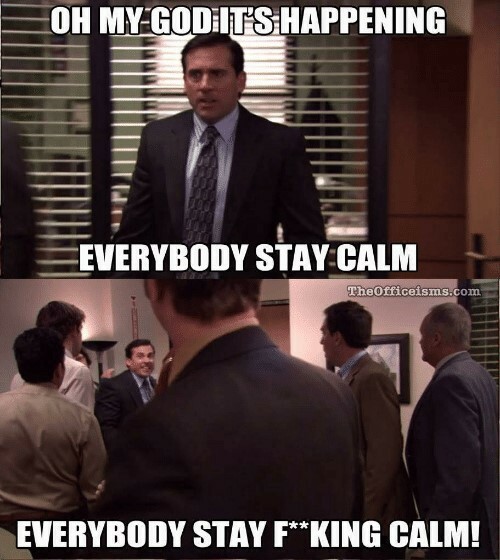 The initial feelings whenever the SEC publishes anything or makes any sort of commentary is panic. All jokes aside, I would like to take a moment, to breakdown the newest guidelines and how they impact current and future projects in the market. Whether offers and sales of a digital asset are securities transactions. These two areas are both unique and one relies on facts while the other is circumstantial. The factual analysis of whether a digital asset is an investment contract mirrors the Howey Test and is based upon an application of the factors set out in that case.While determining whether offers and sales of digital assets are securities transactions depend on the specific circumstances surrounding the sale of the digital asset. Thus both areas will be examined and expanded upon with examples from tokens currently sold in the market at the time of this writing. Are Digital Assets Investment Contracts? Under the Howey Test, an investment contract exists when there is the investment of money in a common enterprise with a reasonable expectation of profits to be derived from the efforts of others. Regarding these factors the SEC will examine a digital asset and verify whether all prongs of the Howey Test are satisfied. The SEC contends that this factor is usually met when concerning digital assets “because the digital asset is purchased or otherwise acquired in exchange for value, whether in the form of real (or fiat) currency, another digital asset, or other type of consideration.” What is important to note here is that an investment contract can be formed without the exchange of money for the digital asset. There are alternate forms of contributions that can constitute an investment contract such as bounty programs, essentially an exchange of services for tokens, or the promotion of the token thru special events such as airdrops. In regards to the Howey Test, a common enterprise is a venture “in which the fortunes of the investor are interwoven with and dependent upon the efforts and success of those seeking the investment….” It is not necessary that the funds of investors are pooled; what must be shown is that the fortunes of the investors are linked with those of the promoters, thereby establishing the requisite element of vertical commonality. Thus, a common enterprise exists if a direct correlation has been established between success or failure of the promoter’s efforts and success or failure of the investment. To satisfy the final requirement of the Howey Test, it is necessary for investors to have a reasonable expectation of profits that is derived from the efforts of others. This comes down to whether their is an “Active Participant (promoter, sponsor, or third party) involved that provides essential managerial efforts that affect the success of the enterprise. Investors in turn, based on that success, expect a return on their investment thru profits. Whether those profits come as a result of distributions or selling the assets for a gain in a secondary market is inconsequential. When looking at whether profits can be derived from the efforts of others it is necessary to know whether the purchaser reasonably expects to rely on the efforts of the Active Participant. In addition, are those efforts undertaken by the Active Participant essential managerial efforts that affect the failure or success of the enterprise. By understanding the different prongs of the Howey Test, it is possible to understand the manner in which the SEC looks at different tokens and whether the transactions of such tokens would be regulated as securities. In order to provide a clear example, I will be doing a short analysis of ARK, under the Howey test. ARK is a blockchain project that I am highly familiar with and would be the easiest for me to use for the purposes of analysis. Are Offers and Sales of a Digital Asset Considered Securities Transactions? In order to answer the question above in regards to an SEC analysis, the Howey test would be applied to the specific circumstances regarding the sale or offer of a digital asset. For our purposes, we can use ARK as an example. This is by no means a complete and thorough analysis of the ARK project and is not a legal opinion but more so a small analysis on how the guidelines could be reasonably construed. In the case of ARK, they are unique from other projects because they did not have an Initial Coin Offering. On November 7, 2016 ARK Ecosystem launched a Token Exchange Campaign where participants were able to exchange digital assets for ARK. It is likely that the first prong of the Howey Test is met here because as stated above, the investment of money can occur whether there was an exchange of fiat currency, another digital asset, or services in exchange for consideration. Where the analysis would get tricky would be in the final 3 areas. Being that the ARK project is decentralized with members in over 11 different countries, it stands to reason that the project is decentralized in such a way that the average reasonable person would not expect an Active Participant to make significant efforts to create a return on profits. The ARK project has been opensource since 2017. Meaning, that not only team members, but “anyone is allowed to create modifications of it, port it to new operating systems and instruction set architectures, share it with others, or in some cases, even market it”- ARK V2 Whitepaper. In addition, since launch ARK tokens had a use on the ARK testnet and have had a consumptive purpose throughout the project’s development. It appears that based on the guidelines it is highly likely that they will not have any bearing on the ARK project. The reasoning behind this is because these guidelines are not law or a regulation that is being applied to the industry. Under these encompassing guidelines every cryptocurrency in existence barring a few such as Bitcoin and Ethereum, would be classified as a security. This recent piece of SEC guidance continues a pattern which only serves to avoid meaningful expectations for the industry. A foundation needs to be created and it would require the creation of an additional asset class for digital assets. However, the SEC has been incredibly dismissive of that option in the past. The SEC’s chairman, Jay Clayton, has stated that “we [the SEC] are not going to do any violence to the traditional definition of a security that has worked for a long time” It seems like this is similar to the old phrase “If it isn’t broken don’t fix it.” But the potential and complexity of blockchain technology require new and clear regulations that don’t try to pigeonhole all digital assets into the archaic definition of securities. 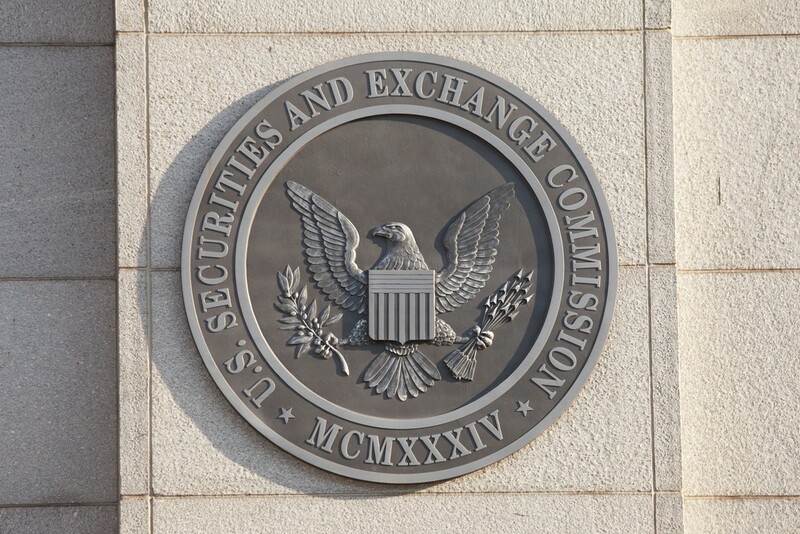 While it seems that the SEC Guidelines are presenting a wealth of new information, the reality is that this guideline only re-emphasizes the SEC’s current stance on the Howey test in terms of securities analysis. What about establishing custody in broker-dealer relationships? How exactly can a security shift from being classified as such to being classified as a non-security? Yet, on the same day the SEC was busy creating its first no-action letter to Turnkey Jet Inc., saying that tokens used in its startup do not qualify as securities. What this amounts to is a very specific set of facts for a case in which the SEC would not recommend an enforcement action. While the letter is a good first step for the industry, the large amount of restrictive conditions placed upon the sale of Turnkey’s tokens seems that it is more of a burden than a blessing. What we have with Turnkey’s scenario is a case where the SEC gives us one very limited example of what wouldn’t qualify as a security. Turnkey’s token was created for a specific use within their travel app. The token’s had a specific USD value and were required to be tied to $1 USD. Tokens could not be exchanged between users of the app and and if they were sold they would only be resold at a discount of the purchase price. Under this analysis the SEC is basically saying, either a token is a security or it is a good, with very little room for much more. While that remains to be seen as we currently wait for the Token Taxonomy Act to be reintroduced, it is clear that the SEC guidelines simply echo past writings and speeches from SEC officials and does little to address current questions within the industry. It is likely that the impact of these guidelines will be minimal at best and an obstacle to innovation at its worse.